Help farmers get more income for what they grow and raise. Advocate for increases in extension, business support services and technologies that help farmers put earnings in the bank as well as they put food on the table. This includes stronger support of existing cooperative extension systems, public/private partnerships for regional markets, and fostering partnerships that link producers to processors or distributors for urban markets. The North Carolina State University Plant Science Initiative is a vital resource for world-class research, and consists of the on-campus Plant Science Research Complex and 10 field laboratories located across rural North Carolina. Support food manufacturing business opportunities. The N.C. Department of Agriculture and Consumer Services and NCSU are leading the way in supporting efforts to diversify food manufacturing opportunities in rural North Carolina, through the work of the N.C. Food Manufacturing Task Force. This significant work merits widespread support. It will create new opportunities for entrepreneurs to start and grow rural-based food processing businesses. Increase biotechnology opportunities for rural businesses. Support strategies and programs that bring biotechnology innovation and opportunity to rural producers and small businesses. Education and training delivered by community colleges is important, including apprenticeships and internships. Increase the entry of youth and young adults into farming and other natural resource businesses. Support pathways for the recruitment, training and financing of farm and natural resource-based entrepreneurs and small businesses. The thread of agriculture is tightly woven with other economic and policy threads critical to rural North Carolina. Let’s touch on just a few that the Rural Center’s advocacy package also addresses: broadband, health care, and education and workforce development. Affordable, accessible high speed broadband is not only critical to connecting agribusinesses to a global market, it is critical for the children of farm families: North Carolina schools are moving to using “digital textbooks” and truly high speed broadband is necessary to have this work. Evolving rural health systems that serve farm families will increasingly use telemedicine solutions that also require high speed broadband. Healthcare is experiencing a seismic shift as it moves from a fee-for-service model to an accountable care business model. We have rural hospitals that operate with very thin financial margins. What are the policies that stabilize them and assure that they remain a critical part of the community? Innovation in education and workforce development also influences agriculture. Rural communities cannot thrive if they do not have primary care providers and hospitals. We need concerted efforts to recruit medical professionals and tap homegrown talent for the health care sector. New high tech value-added agricultural production facilities and biotechnology plants need a workforce that is skilled and adaptable. This requires stronger K-12 schools and community colleges, and a greater emphasis on enhancing career pathways that work for all rural youth and adults. We must have more vigorous, thoughtful partnerships between the UNC system and the community college system that benefits rural communities. 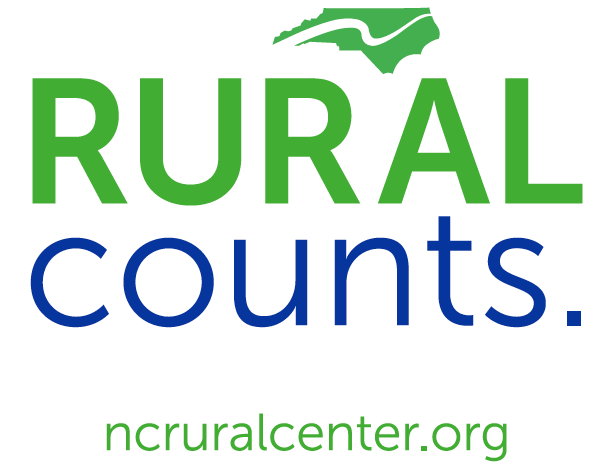 Rural counts for North Carolina. Rural North Carolina in the 21st Century will look different than in the past. We may have fewer farms, but greater economic impact in the sector and higher income for producers. Likewise, we will have fewer people in manufacturing, but high tech manufacturing, including value-added agricultural facilities, will be a significant economic producer and an opportunity for careers that support rural families. North Carolina’s population will increasingly be urban, and rural culture and employment will remain a significant contributor to the state only if we consciously choose to stand up for a high quality rural way of life. The North Carolina Rural Center has an enduring partnership with the North Carolina Farm Bureau, and we look forward to continuing this partnership. The inherent worth and value of the rural life is worth fighting for! The North Carolina Rural Center’s mission is to develop, promote and implement sound economic strategies to improve the quality of life of rural North Carolinians. It serves the state’s 80 rural counties, with a special focus on individuals with low to moderate incomes and communities with limited resources. The Rural Center is a private, nonprofit organization funded by both public and private sources and led by a board of directors.